That’s why Osteo Bi-Flex® Triple Strength MSM formula was designed to supply optimal nutrients for healthy joints, cartilage, and support joint mobility. ** Glucosamine is a major building block of joint cartilage and helps to maintain the structural integrity of joints and connective tissues. ** MSM is vital in the support of connective tissue and healthy joints. 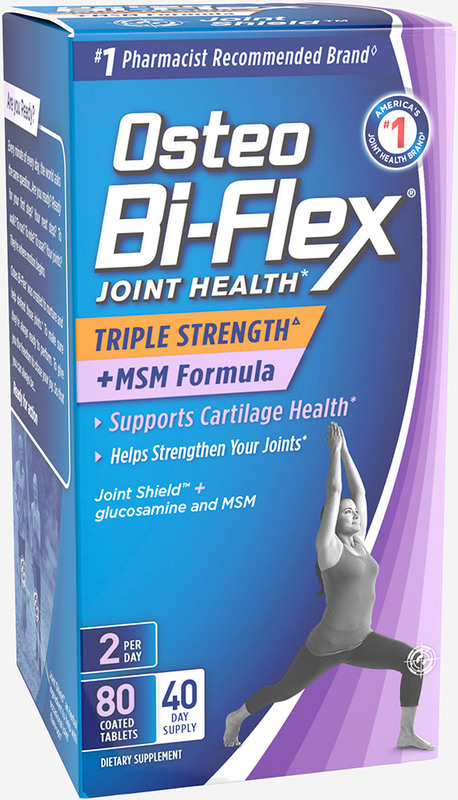 ** Osteo Bi-Flex® is the only leading joint care brand with Joint Shield™ to help defend your joints, and support joint mobility. ** Use Osteo Bi-Flex®, so you’re always ready for action!